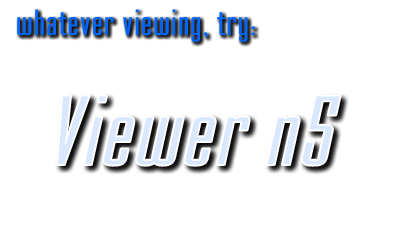 » Viewer n5 - View images in countless formats, and apply a variety of effects with this small, fast, and yet powerful application. Dimin Viewer incorporates unique visualization ideas and features multi-language interface. » bioView - bioView is an open source and cross-platform application intended for biologists to visualize mosaicked EM, Confocal, etc. imagery. It runs on Windows, MacOS X and Linux. It also provides access from the remote controller that simplifies usage of the very large screens e.g. 8000x4800 pixels composed by many monitors. » bioView3D - bioView3D volume renderer is an open source and cross-platform application intended for biologists to visualize EM, Confocal, etc. 3D imagery. It runs on Windows, MacOS X and Linux. It's based on OpenGL and will run smooth on modern-fast hardware. bioView3D supports popular 3D stack formats like Fluoview, Zeiss LSM, TIFF, BioRad PIC, etc. » HTML Directory Structure Creator - A very powerful and customizable solution for HTML creation but yet very easy to use. It may be used to create Directory Trees, File Lists, Image Galleries, Thumbnail Galleries. » Hotkeys for Winamp - Definitive hotkeys plug-in for Winamp 2.x and 5. » Multimedia Keyboard plug-in for Griffin AirClick USB - Multimedia keys for Griffin AirClick USB RF remote control providing support for: Windows Media Center (with menu support), Windows Media Player, Winamp (with my DIMIN hotkey plug-in), VLC (enabling multimedia hotkeys in skin2), Apple iTunes, Microsoft Power Point, Adobe Flash Player in full screen (such as YouTube, Hulu, Amazon on demand video, JW FLV Media Player, etc.) and many others! » GeoJasper - FREE and Open Source Geo supporting command line transcoder (GUI available) between GeoJPEG2000 and GeoTIFF.